March 20 – Women’s football is on a commercial roll. With nine nations confirmed as formally expressing interest to host the 2023 Women’s World Cup yesterday, the France 2019 Local and Organising Committee and FIFA have announced the sixth National Supporter sponsor for the World Cup to be played June 7 to July 7. 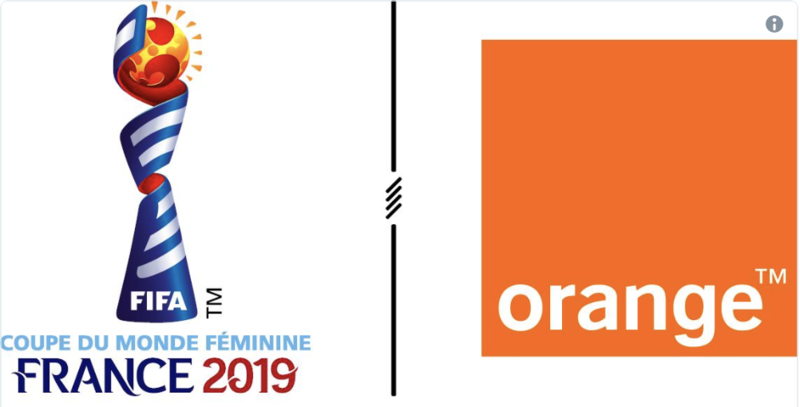 Orange join ARKEMA, Crédit Agricole, EDF, Proman and SNCF to complete the National Supporter line-up. While having been a long term football supporter in France, including taking the title sponsorship of the French league’s eLigue1 esports showcase, the phone company has increased its acknowledgement and promotion of the women’s game including iconic female players such as Gaëtane Thiney and Amandine Henry in its Team Orange initiative. The growth of the organisation of the women’s game is providing a similar sized opportunity for the sport to open new commercial opportunities. UEFA took the bold move to unbundle the rights to its women’s competitions and initiatives and is now starting to see new advertisers coming in to support the women’s game. While the wholly grail of FIFA’s sponsorship approach is to sell top dollar partnerships covering all of its events, it has seen it start, with notable success, to segment its sales increasingly into regional rights deals. The National Supporter programme is the next level up in that programme and for France 2019 it has been filled with four months to go to the tournament. Philippe Le Floc’h, FIFA’s chief commercial officer, said: “We are very pleased to welcome Orange to our team of French National Supporters. Filling our sixth and final National Supporter slot demonstrates the strength of the FIFA Women’s World Cup™ commercial programme. Companies such as Orange are essential for the successful delivery of the tournament. No value was given for the deal.